Before the electoral year of 2012 slinks into history, it is worth a comparative glance back to the electoral year of 1912 to give us some jolting perspective on how degraded our contemporary elections, voter performance and election expectations have become. 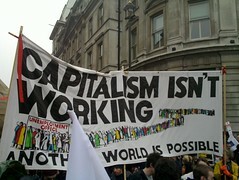 One hundred years ago, workers were marching, picketing and forming unions. 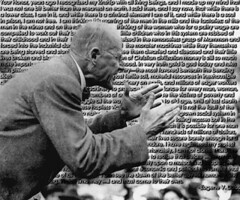 Eugene Debs, the great labor leader and presidential candidate that year, spoke to outdoor labor rallies of 100,000 to 200,000 workers and their families gathered to protest low wages and working conditions. 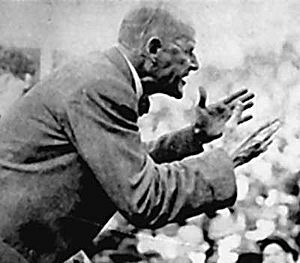 In 1920, Eugene V. Debs, ran for president on the Socialist Party ticket and received a million votes–even though he was serving a prison term for speaking out against the First World War. 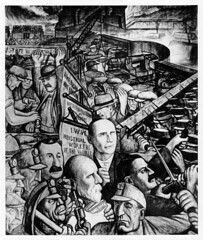 BORN IN Terre Haute, Ind., in 1855, Eugene Debs’ life paralleled the massive expansion of industrial capitalism in the U.S.